Flash My Brain - Featuring the best math flash cards for kids. 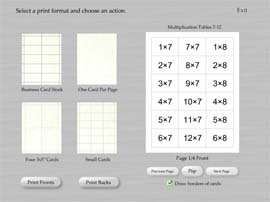 Make and print Flash My Brain math flash cards. Flash My Brain has been specifically engineered for flash cards with math. 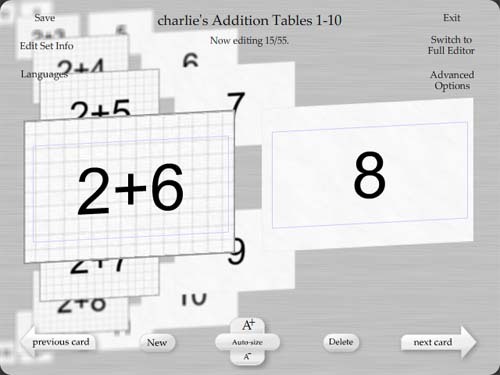 You can print out beautiful math flash cards using the print interface shown at the left. 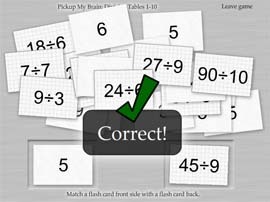 When you buy Flash My Brain, you can look forward to selecting and printing exactly the math flash cards you want. Flash My Brain creates and prints beautiful number flash cards, but it doesn't stop there. 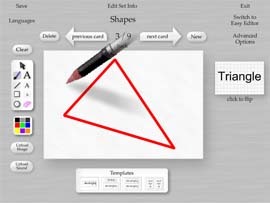 Flash My Brain has a beautiful graphic editor for creating drawings and diagrams. You can even upload images. Buy Flash My Brain for $29.95 and start using math flash cards the Flash My Brain way. Print from 1000s of cards in the library, great editors to help you make more, and even a study module with games to help your student learn. - this is Flash My Brain!